It seems that the recent push by tourist operators in Siem Reap have been successful. Cambodia’s Tourism minister has just announced that from next week, the USD40 three-day passes to the Angkor Archaeological Park will be extended to one week, while the USD60 one-week pass will be extended to one month. 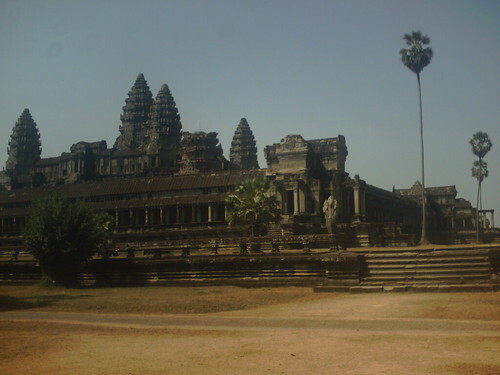 This move will certainly prop up the declining tourist visits to Angkor, but it doesn’t look like anything’s been done to address the environmental stress to the temples caused by increased visitorship in the last decade. MINISTER of Tourism Thong Khon has agreed to a proposal by the private Tourism Working Group to extend Angkor Wat tickets in a bid to attract more tourists, he said on Monday. Following a recent meeting with the Apsara Authority, the body responsible for Angkor Wat revenues, the minister said the decision had been made to extend the validity of tickets. “I support the task force with this proposal … [it’s an] appropriate request,” said Thong Khon, adding that the ministry had been thinking over the idea for some time. Three-day tickets to visit the Unesco World Heritage site – costing US$40 – will now be valid for one week, and week-long tickets can be used at any time for one month at $60 each, the minister said, adding the system would start next week. But Bun Narith, director general of the Apsara Authority, said he had not yet heard news of a final decision. good news for those who wish to soak in the wonderful atmosphere but something has to be done to protect the environment…..a difficult situation where visitors are needed but they must not be gained at the expense of Angkor.